The show with McPartland, taped last October, didn't get off to a great start. After discussing the set list and checking "chatter" levels, Peck, a laconic, introspective, bushy-bearded bear of a man, said he thought his piano was "a little out of tune." "You must have a hell of an ear," shot back McPartland, who strode into the control room muttering, "temperamental artists," as she sipped a cup of tea with the tea bag still steeping in it. Being a temperamental artist herself — and, at 87, an occasionally curmudgeonly one — McPartland was only half-serious, of course. By the end of the afternoon, she had found the doorway to Peck's well-guarded heart — and he, hers. Along the road, she also offered a dazzling demonstration of just why her show sounds so seamless and spontaneous. Midway through the session, Peck suggested they play "She Was Too Good to Me," an obscure Rodgers and Hart tune he told her he'd discovered on a Chet Baker album. "Gosh," she replied, "I haven't thought of that tune in ages." After a first take broke down, tape started rolling on a redo, and McPartland seemed to take the conversation in an entirely new direction. "I was thinking of asking you about the people you worked with at Parnell's," she said. In the control room, producer Shari Hutchinson buried her head in her hands, no doubt wondering whether she was ever going to make her 4 p.m. plane out of JFK. But McPartland knew exactly where she was going. Peck had played with Baker at Parnell's, and the conversation turned naturally to the trumpeter. "We could play that tune he did that you like," she said, tinkling a few notes of the Rodgers and Hart song, as if they had never talked about it.
" 'She Was Too Good To Me,' " responded Peck, taking her lead. "Let's do that one. You do the verse, then take a chorus, then I'll do one and we'll play together." The whole thing came off without a hitch. The pianists topped off the hour with a lively duet on "How Deep Is the Ocean," then Peck did a retake of his solo version of "Solar" and it was all over. Afterward, Peck, ever the perfectionist, said privately, "I don't know if it was the best playing I've ever done, but then that's pretty typical of me." Like the "Piano Jazz" session, Peck's new album features mostly lyrical ballads, but with a quietly distilled simplicity that feels new. "I'm famous for making harmonies more complex," says Peck, "but I've also found that it's possible to actually simplify." The tunes include the obscure Duke Ellington composition "Low Key Lightly," originally performed by the Duke in the film "Anatomy of a Murder"; Ellington and Billy Strayhorn's haunting "The Star Crossed Lovers"; and, naturally, "She Was Too Good To Me." Though Peck is revered in the Northwest, his music has not reached a large audience. A new national distributor for his label, Let's Play Stella, as well as the NPR show and the ArtistShare site, may help change that. ArtistShare is a marketing and sales site where players as diverse as Maria Schneider, Jim Hall and Danilo Perez have successfully offered electronic downloads, tutorials, videos, scores, interviews and unpublished bonus tracks, as well as raised funds for recording projects. 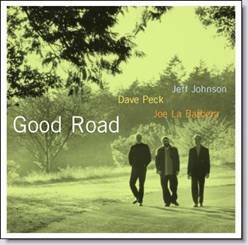 Peck, who sees the site as a tool for developing his fan base, will offer "Good Road" as a digital download, as well as a streamed "tune of the month" and a book compiling all the tunes after a year. McPartland was surprised to hear the Seattle pianist she'd been so impressed by when he was a teenager had never played New York. "There are many places that would like to have you play," she said. It was a generous compliment. Given her acumen about everything else, she just might be right.